Submitted by FantasyObsessedRPGer on 2017-03-07 16:20. 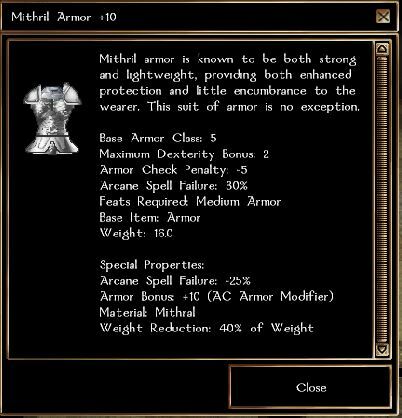 Just a simple item prefab that has ten different suits of mithril armor included, each of varying protectiveness. Both mod and erf files included in the zip.